Middletown, CT (May 31, 2018) – Greenskies Renewable Energy LLC (“Greenskies”) a Clean Focus company, has completed another major rooftop solar project as it helps lead the nation’s green energy movement. The latest project powers the Amazon fulfillment center in North Las Vegas, Nevada, with 1.1 MW of clean, renewable energy. See Amazon press release. Amazon recently announced renewable energy projects, which include solar arrays on fulfillment center rooftops in California, Maryland, and New Jersey. 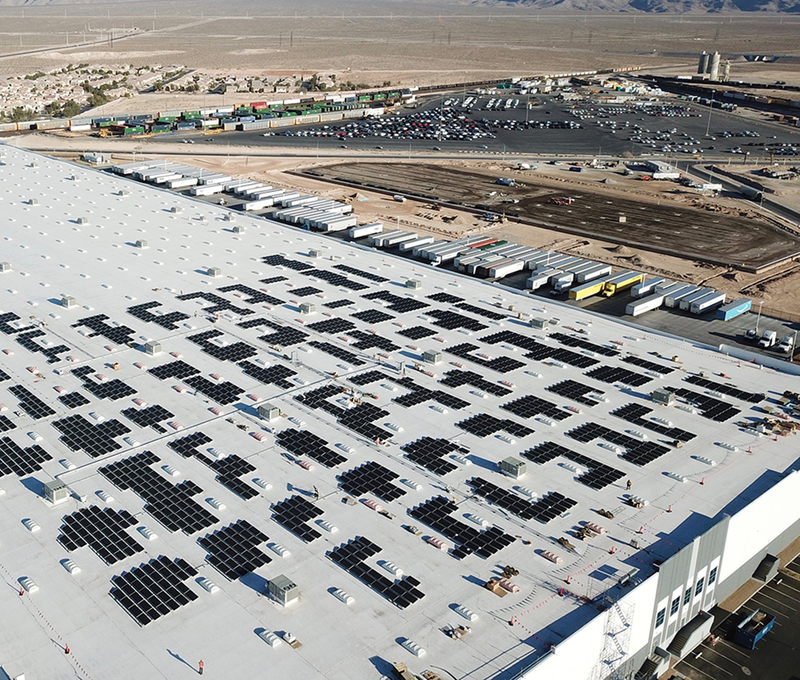 The North Las Vegas project will contribute to Amazon’s effort to intstall solar arrays on the roofs of fulfillment centers across the United States.